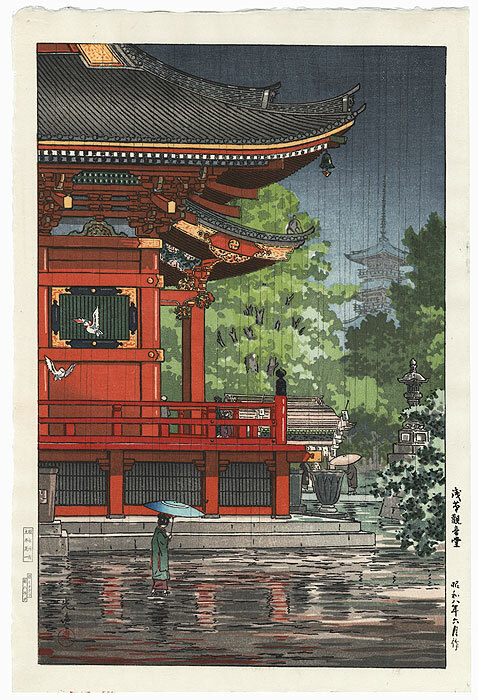 Comments - Beautiful view of Asakusa Kannon Temple on a rainy day. 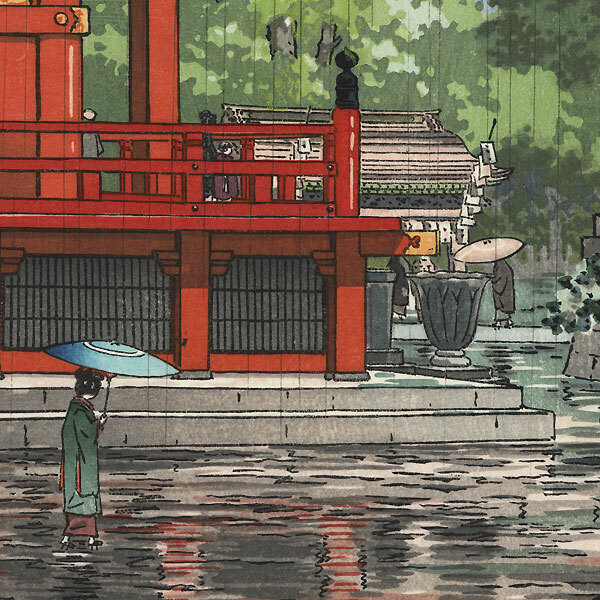 A woman with an umbrella walks across the grounds, reflections shimmering in the water on the pavement. 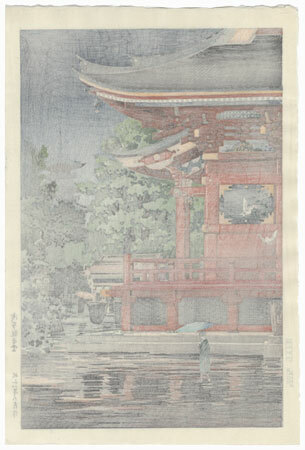 Beautiful color and detail in the elegant tile roofed building, with fine bokashi shading in the sky.